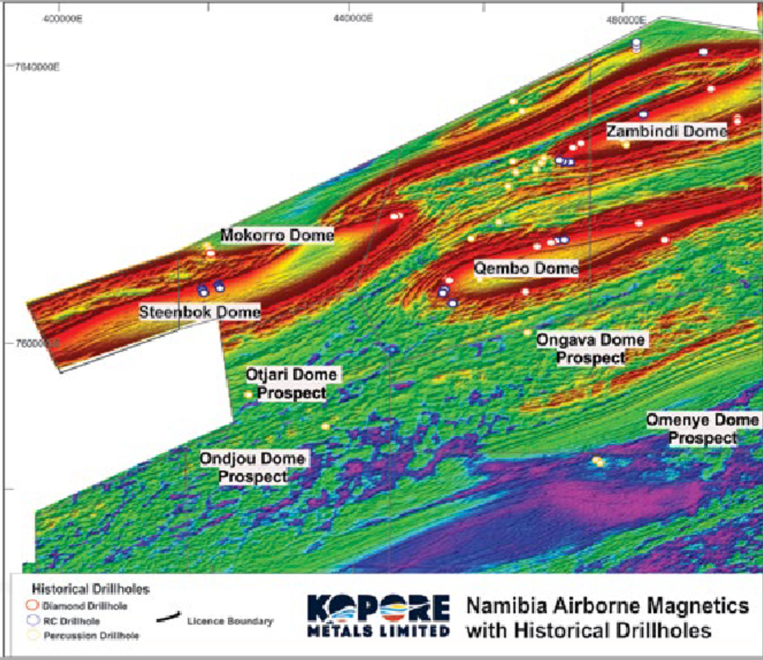 Kopore has undertaken a phased approached to exploration via lithological mapping, airborne electromagnetic surveys and soil sampling, this disciplined process has led to the discovery of four identified domal structures and nine domal prospects including walk up drill targets. 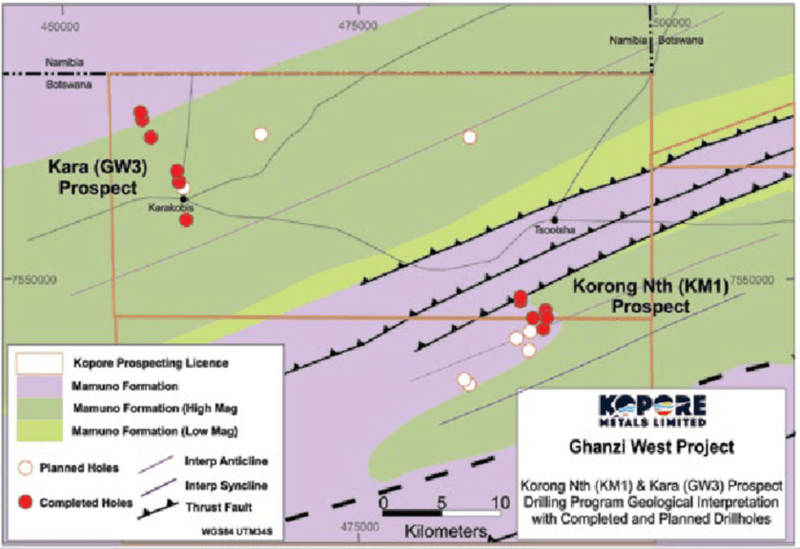 An additional Reverse Circulation with Diamond Drill Rig has been mobilised to Korong Nth (KM1) and Kara (GW3) to aggressively test high priority targets. 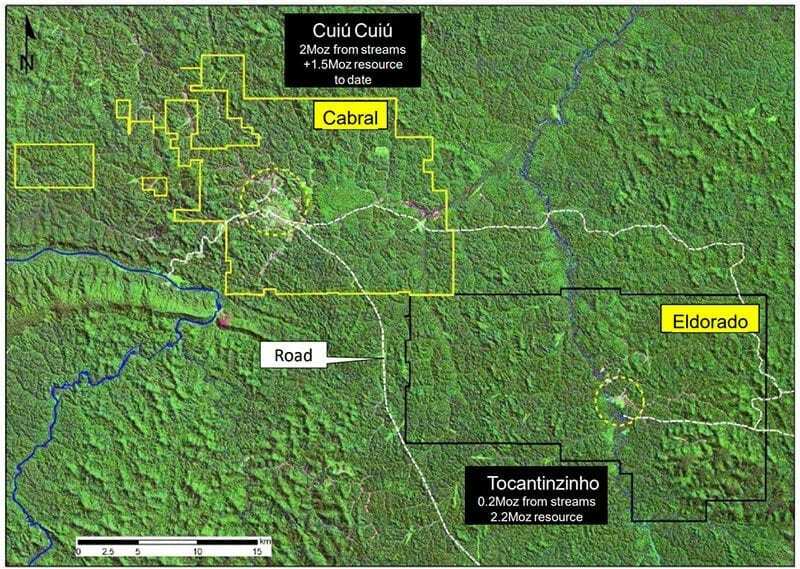 At Korong prospect, 1,500m of Reverse Circulation drilling will test 12 km2 of copper-lead anomalies identified in the recent Airborne EM Survey. 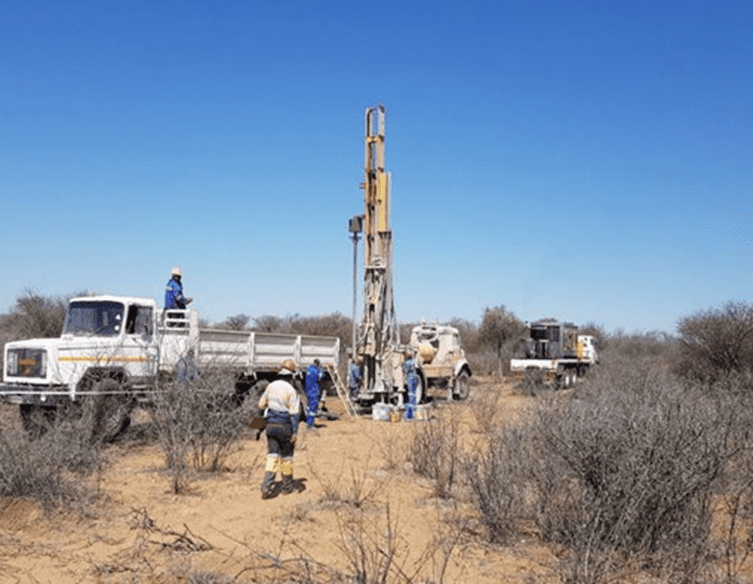 The recently acquired Namibian licences received an exploration boost with the Company receiving a geological dataset from the Namibian Ministry of Mines and Energy which has expedited activity. 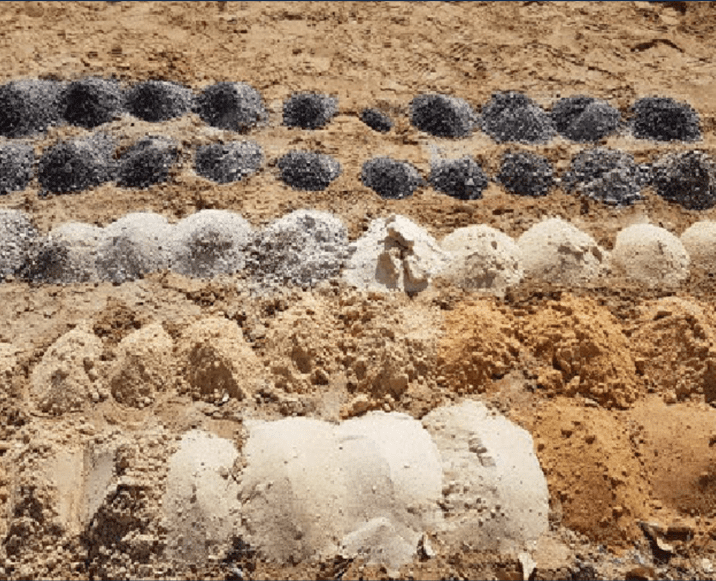 The latest information has been integrated into the Company’s database to deliver project alignment with the existing Botswana assets.